Can I Use Free UK Medical Services as a Visitor? Can Visitors Use Free UK Medical Services? What happens if, as a visitor, you need a doctor in the UK? Can you get free medical care under the National Health Service (NHS)? The answer to this straightforward question is maybe, but probably not. It's complicated. Residents of the UK and certain others, defined by complicated rules, have free access to some levels of medical services delivered by the NHS. The National Health List of those countries outside the EU with reciprocal healthcare agreements - and the limits of those agreements - is a short one. You may also need to pay an Immigration Health Service Surcharge (IHS) Certificate if you are applying to stay in the UK for more than six months. Check the exemptions from this surcharge here. If you are a short term visitor, from outside the EU, just in the UK on vacation, you may have access to some of these services too. But rules put in place to prevent health tourism - arriving in the UK for free medical treatment - mean you'll still need travel health insurance and will usually have to pay for most non-emergency medical and dental services. At one time, students on long term courses - such as university courses - and employees of foreign companies working in the UK were covered by free NHS services. But new rules went into effect in April 2015 requiring the payment of a healthcare surcharge of £200 per year (£150 per year for students). The surcharge is imposed when you apply for a student or work visa and must be paid in advance (to cover every year of your stay) with your application. If you are student attending a 3-year university course, or an employee of a company on a multi-year assignment, the surcharge costs less than travel health insurance for the same period. Once the surcharge is paid, you'll be covered by the free NHS services in the same way as British subjects and permanent residents. A walk-in center providing services similar to an emergency room. That service only extends to the immediate emergency. 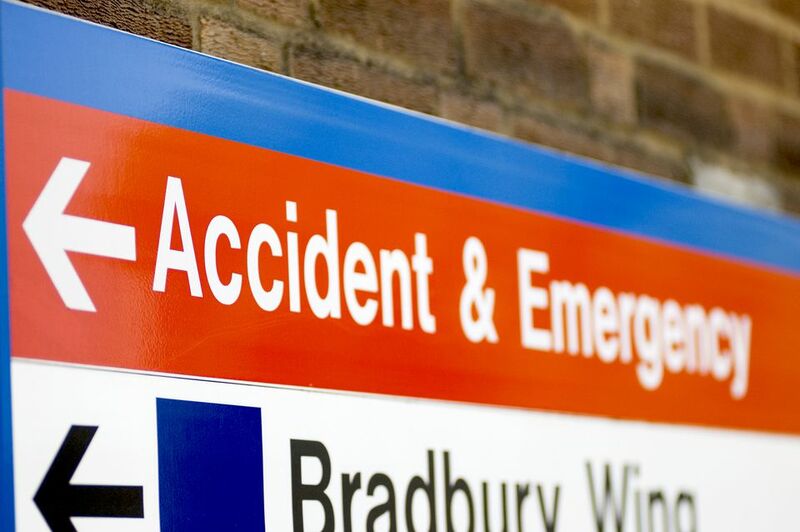 Once you are admitted to a hospital - even for emergency surgery or further emergency treatment - you have to pay for your treatment and medicines. If you are asked to return for a clinic visit to follow up your emergency treatment, you will also have to pay for that. If the doctor prescribes medication, you'll have to pay the full retail price rather than the subsidized price paid by UK residents. And, if you run up charges of £1,000 and you or your insurance company fail to pay within the specified time, you could be denied a visa in the future. HIV testing and temporary treatment, including ARVs, on an emergency basis, while in the UK. Are the rules the same for all visitors? Visitors from EU countries and other members of what is called the European Economic Area are subject to somewhat more access to the National Health Service. (This is likely to change sometime after the end of 2018 as a result of BREXIT, but final details have not been agreed at the time of this writing - May 2018). Visitors from countries which have a bilateral agreement with the UK may also have access to more services. People working in certain kinds of occupations - such NATO employees and some voluntary workers - may also have free access to the NHS. For a full list of visitors to England who have free or partially free access to NHS services, check the NHS Website. Now that Brexit negotiations are underway, rules for European visitors are likely to change. This is a fluid situation so it's probably a good idea for Europeans planning to travel in the UK after mid 2018 to have some travel insurance in the interim. The rules for visitors to Scotland and Wales are broadly similar but GPs and hospital doctors have some discretion over who should be charged. Not all travel insurance is equal. If you are older than 60 or have a history of previous treatment for a recurring condition, your travel insurance (just like your old fashioned, pre Obamacare health insurance) may not cover you. Before you leave home, make sure you have adequate health insurance to cover repatriation if necessary. Find out more about travel insurance for seniors.